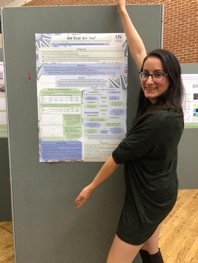 Being a Psychology undergraduate here at Sussex enabled me to explore different domains of interest in this fascinating subject and to develop my passion for “Positive Psychology”, the field that studies what is good in life. Among the topic explored in this field, there is kindness: a construct that had been shown to not only improve life satisfaction and well-being but also friendships and relationships. Kindness is a topic of growing interest in our university and one of the five core values of the Sussex 2025 Strategic Framework. Therefore, when I was given the amazing opportunity to work as a Junior Research Associate during summer 2018, I decided, with the help of my supervisor Professor Robin Banerjee and my mentor Jessica Cotney, to conduct a mixed-methods research investigating this positive construct. Research has investigated the main characteristics of kindness and its positive effect in people’s lives, but no previous study has attempted to predict intention to perform kind acts or explored its facilitating and hindering factors. Thus, in my research we tried (1) to apply the Theory of Planned Behaviour model (TPB) (Ajzen, 1991) to the performance of kind acts, and (2) to investigate what factors affect kindness in the context of university life. The Theory of Planned Behaviour model state that attitudes (one’s personal beliefs and evaluations); subjective norms (individuals’ beliefs of how their significant others think they should behave) and perceived behavioural control (how much control the individual believes to have over the specific behaviour) are the main predicting factors of intentions to perform a wide range of behaviours (e.g. health protecting behaviours, healthy habits and prosocial behaviours). Does the Theory of Planned Behaviour model predict people’s intentions to perform kind acts? Does the effect of personal attitudes on intentions to be kind depend on the perception of social norms and behavioural control? What are the factors that facilitate or hinder the performance of kind acts in the context of university life? We developed and administered to a sample of 246 participants from 30 different countries a questionnaire measuring the Theory of Planned Behaviour variables: personal attitudes (e.g. “For me doing kind acts in my everyday life would be rewarding”), perceived social norms (e.g. “Performing kind acts will make people hold a positive opinion of me”), perceived behavioural control (e.g. “If I wanted I could easily perform kind acts”) and people’s intentions to perform kind acts (e.g. “In my everyday life I try to perform kind acts”). The linear regression performed with the data of the questionnaire revealed that our hypothesis was correct: The Theory of Planned Behaviour model is effective in predicting people’s intention to perform kind acts. At the same time, we conducted two semi-structured focus group interviews exploring the variable expected to predict intentions and the factors that could facilitate or hinder the performance of kind acts in the context of our university. From the thematic analysis of the data collected, we were able to identify some social and organisational factors that are perceived as influential. Facilitating factors: gratefulness, recognition, spotting opportunities, positive mood and a surrounding culture of kindness. Hindering factors: low level of connection, competitiveness, misinterpretation of kindness, lack of consistency and hierarchical structure. These findings contribute to our understanding of kindness and of the key factors involved in the performance of kind acts. Nevertheless, this study is only a small contribution to the topic and there are still many open questions that future research will need to address. As the last step, I had the opportunity to produce an academic poster and to present my research during the JRA exposition. Being a JRA this summer was an amazing experience itself but, my experience did not end there! This scheme opened up many new opportunities for me in the future, such as continuing my research in my dissertation project and presenting my poster at the Kindness Symposium 2018. I would like to thank especially my supervisor Prof Robin Banerjee and my mentor Jessica Cotney for supporting me on a project I was passionate about, and for showing me how exciting and rewarding a career in research could be. For more information on the Junior Research Assistant Scheme go to: https://www.sussex.ac.uk/study/undergraduate/undergraduate-research/junior-research-associates. 1 Pings/Trackbacks for "Exploring Kindness as a JRA"